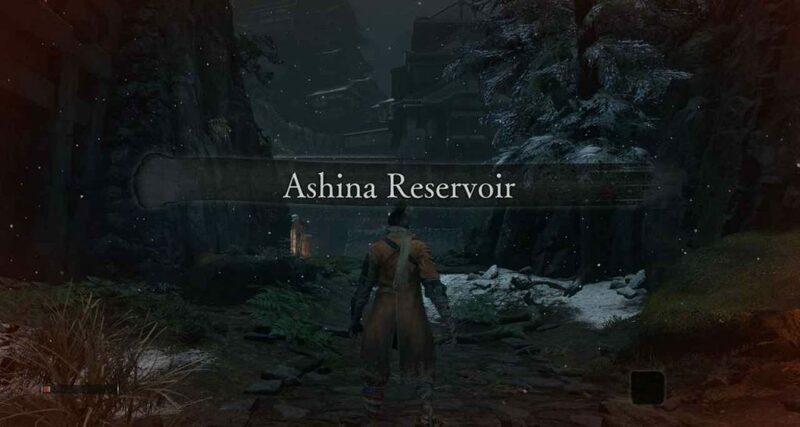 The Ashina Reservoir is the first area in Sekiro: Shadows Die Twice. It is simple in layout; however, it does hold a few secrets for you to find. 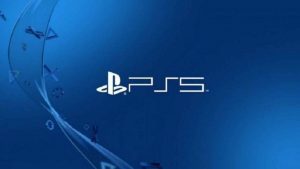 The first half of your time spent in this level is heavily tutorial-based as the game teaches you the game’s mechanics. We will pick up after you reunite with your Master. Once you have finished talking with him. 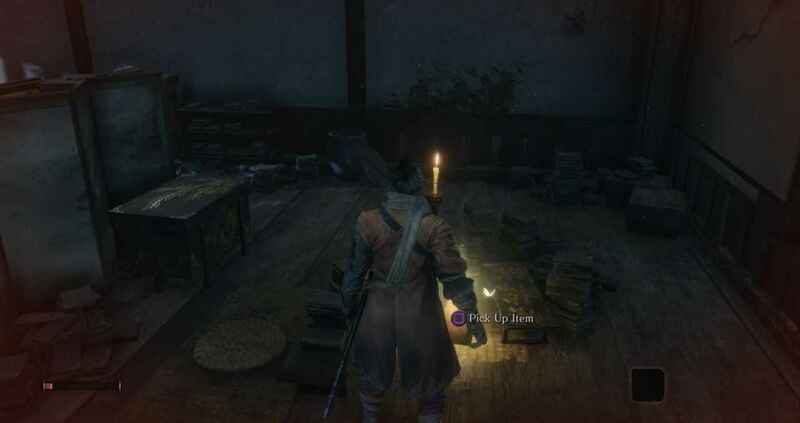 Make sure you talk to him again until you pick up the Healing Gourd, which will refill your health instantly when used. Head upstairs to find some Pellets on the ground. These will slowly restore your health when used, as opposed to the Healing Gourd. Once you are ready heal and head outside. 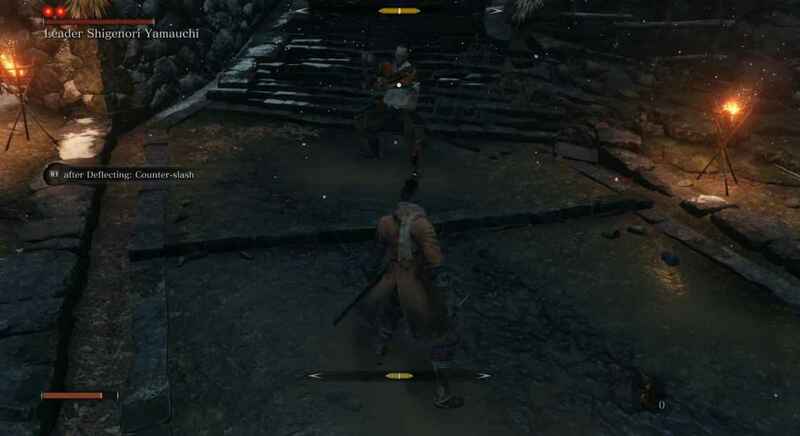 Immediately outside are two enemies, with a third a little further on. To the right, up the stairs is one more enemy. A final four then stand guard next to the large open door, in the centre of the area. Up those stairs on the right, you can head back to where you woke up at the beginning of the level. 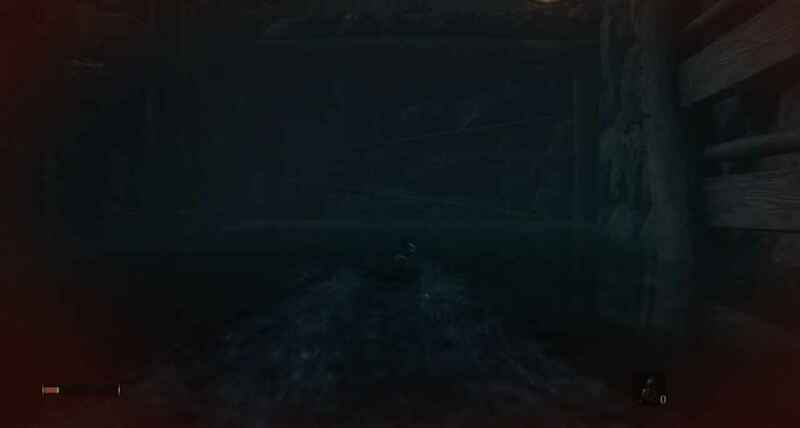 If you swim through the water in the tunnel and all the way to the end you can see an item up on the ledge. 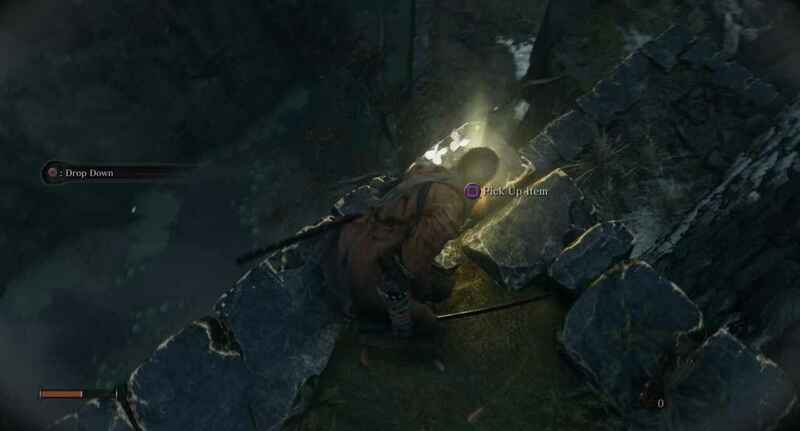 We currently do not know how to reach that item. Back along the main path, you will find your first mini-boss of the game: Leader Shigenori Yamauchi. 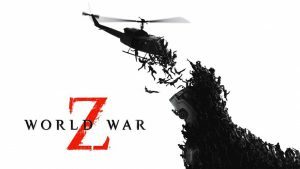 He is fairly simple to defeat, you just have to get the deflection time down. Once you defeat him he will drop some more pellets. The large door ahead will be shut. Instead, head down the path on the right. 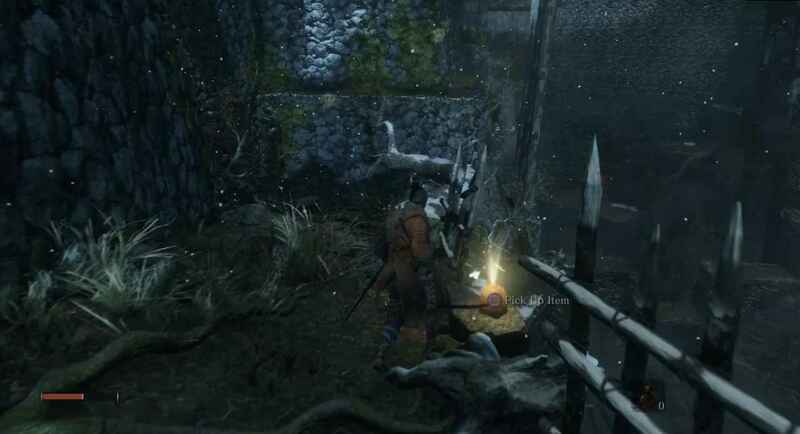 You will find 2 Fistful of Ash on that path, which will distract enemies when you throw it at them. The door at the bottom will call your Master to you and signal the conclusion of the area. 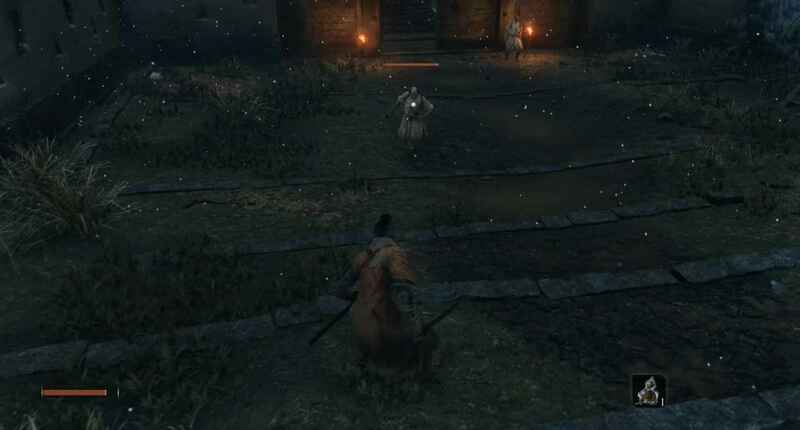 After the cutscene and walking onwards you will actually fight your first boss: Genichiro Ashina. However, he is far too difficult right now and you are supposed to die. 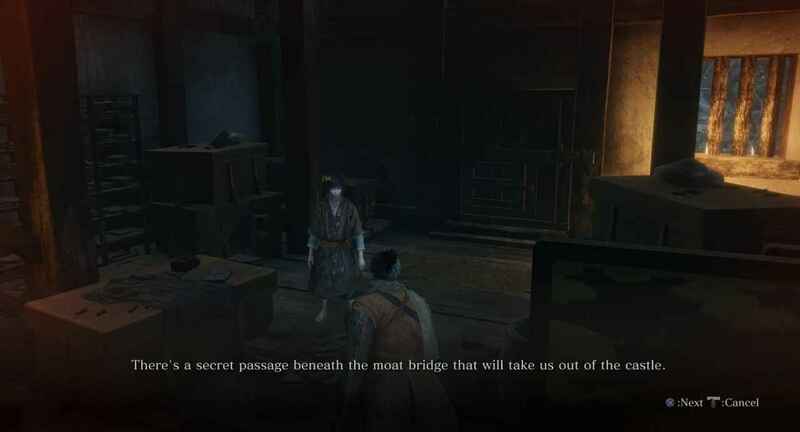 This area is reachable later; however, it is incorporated into the Ashina Castle area. Therefore, you can find more about this in our area guide for there, which is coming in the next few days. 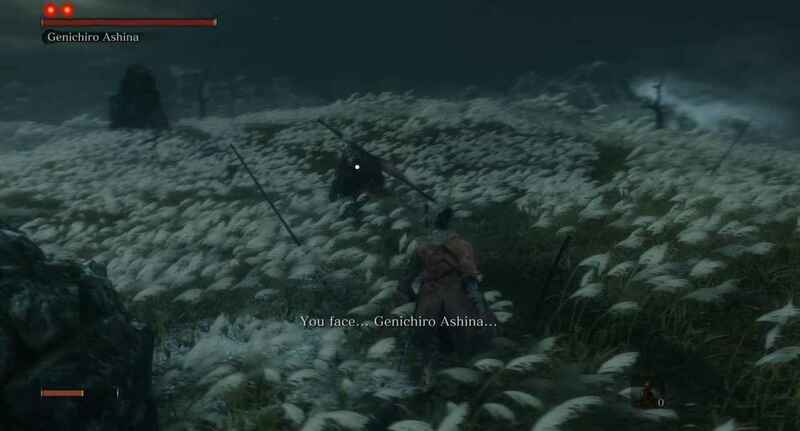 For now, you can check out our full guide on the next area in the game the Ashina Outskirts. 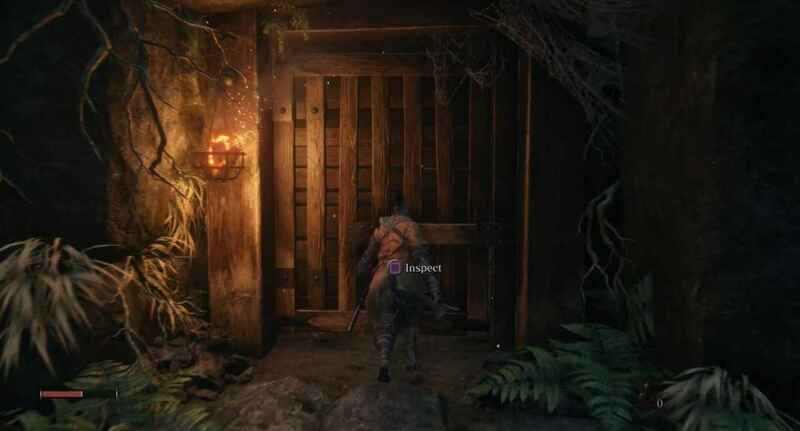 Stay tuned to PSU for more content covering Sekiro.